Below you can view all the homes for sale in the Brightleaf subdivision located in Durham North Carolina. Listings in Brightleaf are updated daily from data we receive from the Raleigh multiple listing service. To learn more about any of these homes or to receive custom notifications when a new property is listed for sale in Brightleaf, give us a call at 919-759-5468. Basketball pad in backyard. Great community pool! MLS#2249452. 3910. Addt'l 32 Green Giant trees. Screened porch. 2 Car Garage. MLS#2247465. 4498. 5 Mins To Brier Creek! 10 Mins To Duke! MLS#2249291. 269. Exterior shutters and door recently painted! Move in ready! MLS#2247240. 297. Convenient to RTP, Brier Creek, D'town Durham, 70, 147, 540, & 40. MLS#2247721. 3359. All of this, conveniently located to shops, restaurants, RDU airport, 540, & RTP! MLS#2247520. 2418. 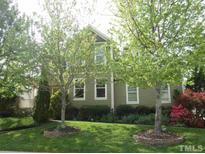 Bonus room on second floor could be converted into a 4th bedroom 1% or $3000 credit with our Preffered lender. Terms and conditions apply MLS#2246756. 4286. Private fenced in backyard with concrete patio. MLS#2245180. 3639. Neighborhood has pool, tennis, fitness available! MLS#2244188. 5234. Recently painted and ready to move in! MLS#2242989. 511. Large secondary bedrooms with tons of storage space, plus a huge bonus room – perfect for a media room, playroom or office. Welcome home! MLS#2241319. 4542. Wide plank hardwoods, tile baths, granite & Stainless Steel appliances add to the ambiance! Shady screened porch, fenced yard! MLS#2241586. 1618. Large buffer behind the home means lots of privacy! It's the perfect oasis! MLS#2240555. 5234. Elementary school, trails & pool w/in community MLS#2239254. 2731. Walk in closets throughout. Community pool and tennis courts! MLS#2236516. 35. A community pool and tennis courts are part of the HOA. MLS#2232899. 4823. High Performance, easy on the pocket book! MLS#2230673. 1128. Great community w pool and tennis. MLS#2229156. 1127. Excellent neighborhood with walking trails! Close to Duke/RTP/RDU! MLS#2222578. 5026.